Built by universities and industry, the satellites will fulfill a number of purposes from Earth observation and meteorology to technical demonstrations. 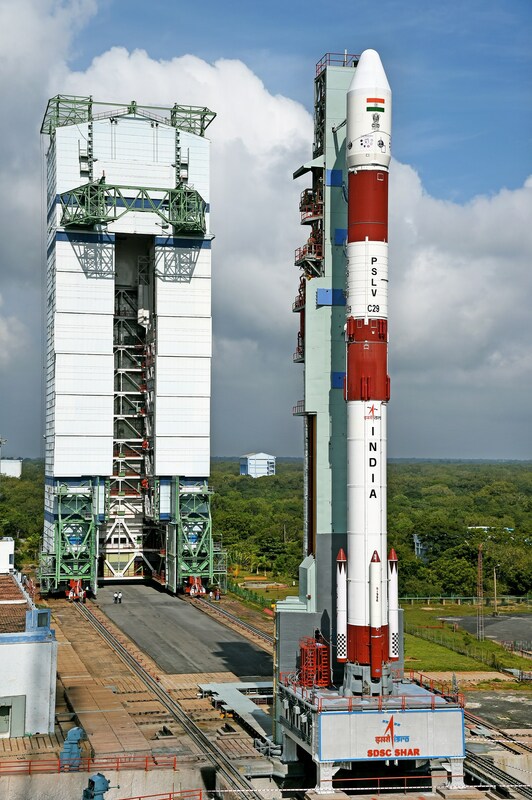 PSLV, flying in its stripped-down Core Alone Version without boosters, blasted off from the Satish Dhawan Space Center at 12:30 UTC on Wednesday and swung to a south-easterly trajectory, firing its large solid-fueled first stage that catapulted the vehicle off the pad with a thrust of 495 metric-ton-force. 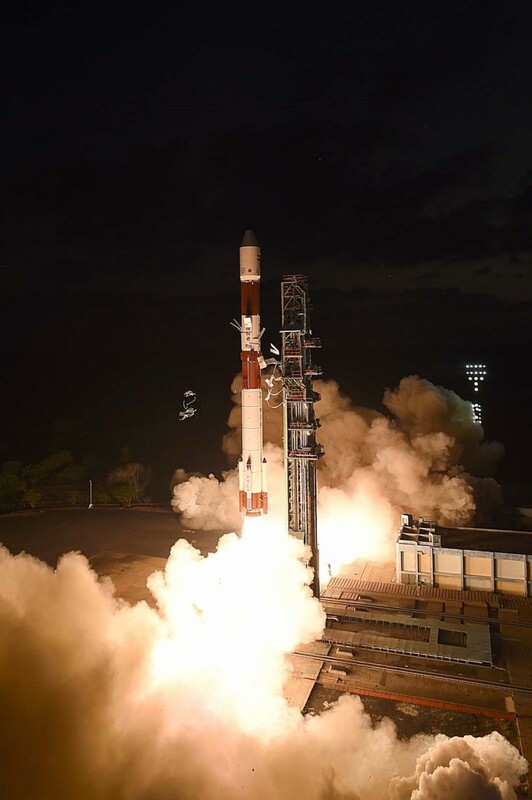 With a high initial thrust-to-weight ratio, PSLV raced into the evening skies, widely visible from India’s east coast. The first stage burned out one minute and 50 seconds into the flight and handed off to the liquid-fueled second stage of the rocket with its 81,500kgf Vikas 4 engine that fired for a little over two and a half minutes. While the second stage burned, PSLV shed its payload fairing, exposing the TeLEOS-1 Earth Observation Satellite and its smaller companions. The third stage of the rocket, again using solid fuel, fired for 112 seconds with a thrust of 25 metric-ton-force to push the stack to a sub-orbital trajectory. Separation of the third stage occurred after thrust tail-off to send it on its way to re-entry and splashdown half a world from the launch site in the Pacific Ocean. Flying with a partial fuel load, the hypergolic fourth stage fired up its twin L-2-5 engines after a coast phase for a burn of just 2 minutes and 19 seconds, aiming for an orbit of 550 Kilometers at an inclination of 15 degrees. 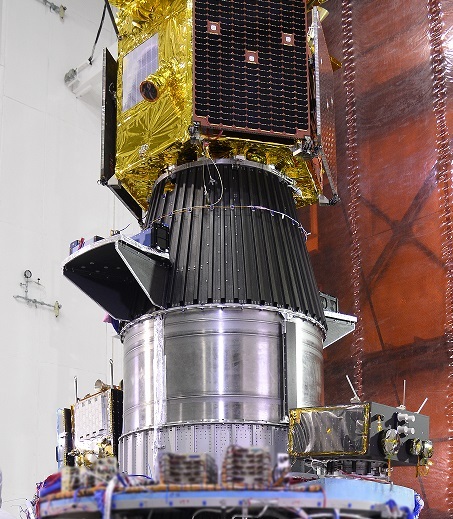 After spacecraft separation, the fourth stage of the PSLV rocket continued with an extended coast phase followed by a five-second engine re-start 67 minutes into the flight. 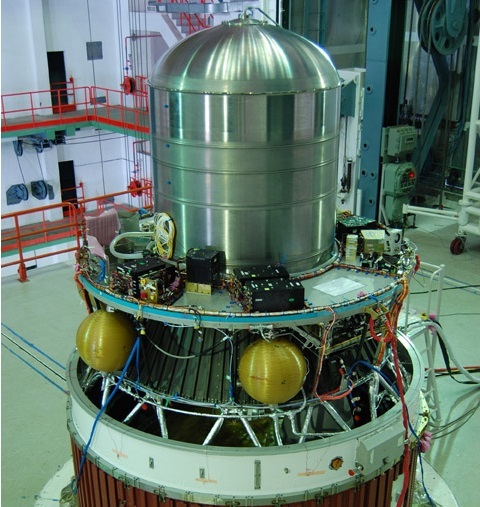 This extended flight served testing purposes to demonstrate that a) the PSLV fourth stage can operate for extended coast phases with respect to power and thermal aspects, and b) the fourth stage engines can be re-started and their re-start dynamics do not violate the operational environment of the engine design for reliable multi-burn missions in the future. Officials confirmed that the engine re-start was successful. 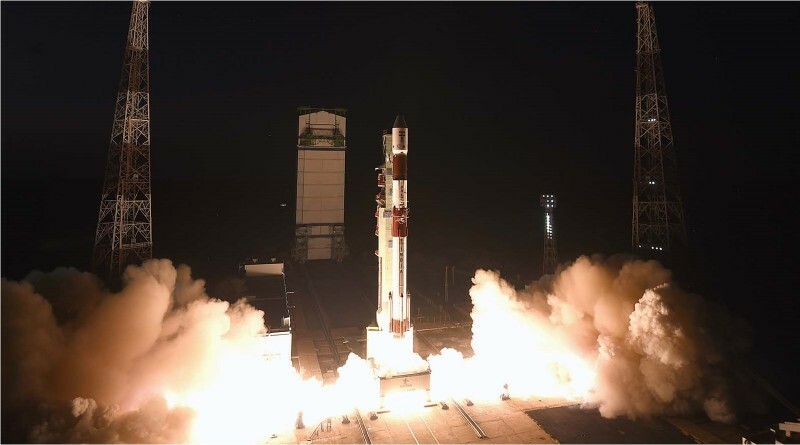 Orbital tracking first identified the PSLV fourth stage as a principal object in an orbit different from the satellites after the usual 4th stage avoidance and passivation maneuvers as well as the re-start. 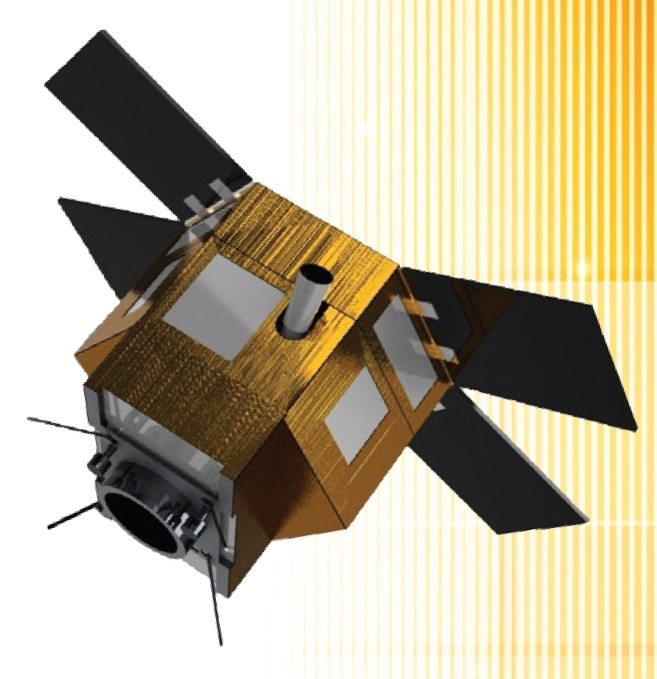 Data for the satellites was not available until Thursday because the objects had to separate sufficiently to avoid data mismatches for subsequent data sets.